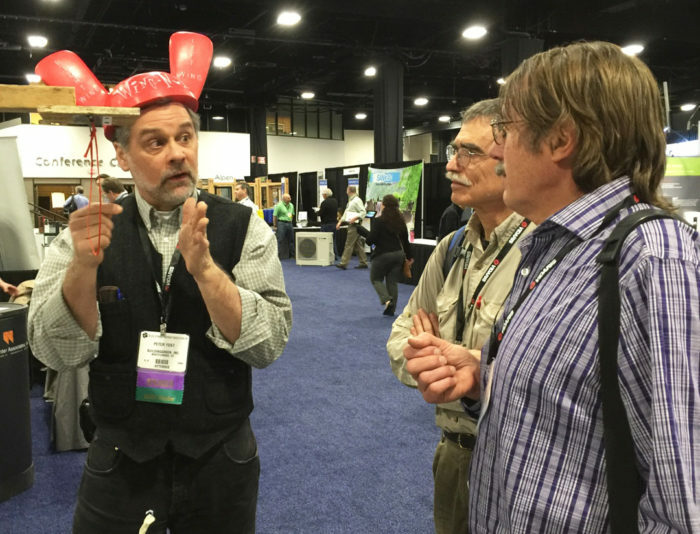 Wearing his trademark wingnut hat, Peter Yost explains his tape-testing methodology to Andy Shapiro and Martin Holladay at the BuildingEnergy 16 conference in Boston, Massachusetts. Regular visitors to GBA probably know that I’m a big fan of backyard product tests. (In the past, I’ve reported on my tape tests, flexible flashing tests, and liquid-applied flashing tests.) So when I noticed that Peter Yost and Dave Gauthier would be giving a presentation titled “Sticky Business: Tape Testing, Round Two” at the BuildingEnergy 16 conference in Boston, I showed up early to make sure I got a good seat. Peter Yost is GBA’s technical director, while Dave Gauthier is a sales representative for Atlas EPS. The two backyard scientists conducted a series of tests in Yost’s shed (christened the “Wingnut Test Facility”); from my perspective, their light-hearted approach brings just the right amount of irreverence to these research efforts. 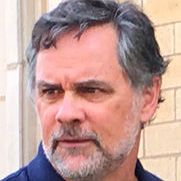 At the conference in Boston, Yost began by providing “context and caveats.” He pointed out that this was “pro bono work” — the two friends have no funding for their research, so expenses come out of their pockets. 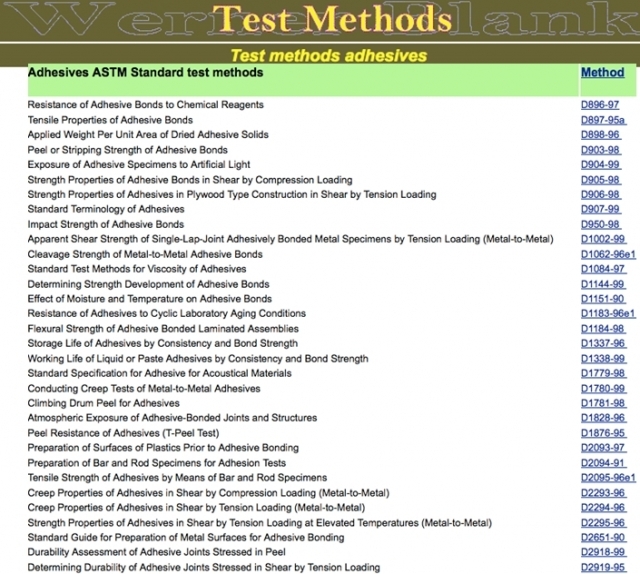 In theory, the American Society for Testing and Materials (ASTM) should, by now, have developed some testing protocols for tapes used by residential and commercial builders. They have — sort of — but the standardized tests aren’t very relevant. Is hard to read this article after looking at Peter's picture... from the Red Mikey Mouse club? God Job! What gets me is that they all have such serious looks on their faces. But still, the article is informative. I think it actually makes an argument for plywood over OSB. It's a far more tapeable substrate. 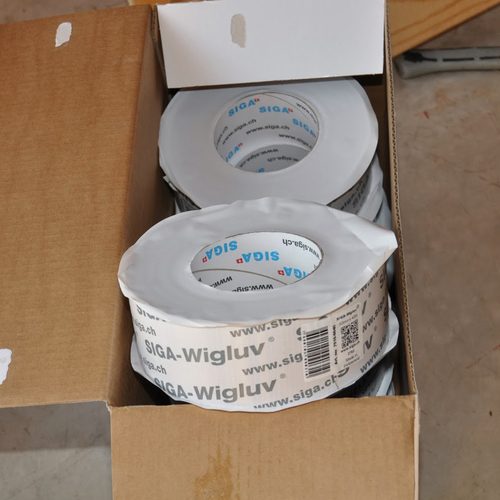 In many cases, including with Siga Wigluv, the tape samples failed on the vinyl and aluminum window flanges before they failed on the OSB. 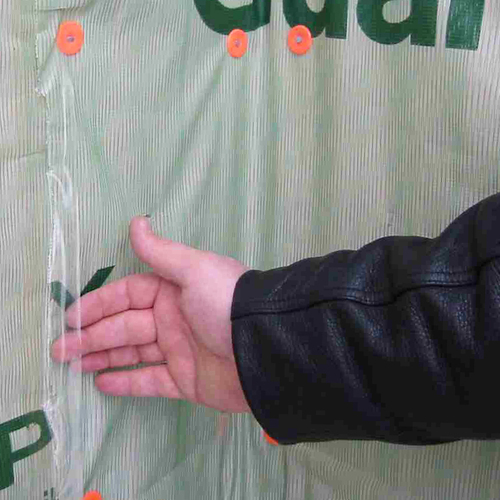 So when it comes to acrylic tape tenacity, the OSB substrate may not be the issue here. Photo 7 indicates that the force of gravity is pulling parallel to the plane of the OSB, while photos 4, 5, and 6 seem to show gravity perpendicular to the OSB. OK, I just read the caption on photo 7. Was the orientation different only during the few seconds of spritzing with water? Was weight stressing the tape, during the spritzing? We unload the 1-pound weights just before tipping up the OSB strips, then we spritz them front and back and then we lay the strips back down and reload the 1-pound weights. Thanks for helping me interpret what I was seeing in photo 7. I can understand 3m 8067 not being available but surprised you found stockyards supplying European products. We order 3m tape and Tescon tapes online and are delivered very quickly. If the primer had been allowed to develop its sticky tack, results would certainly have been different but agree messing with primer is a huge downside. I've found 8067 to be more sticky and flexible but less tolerant of long UV exposure. 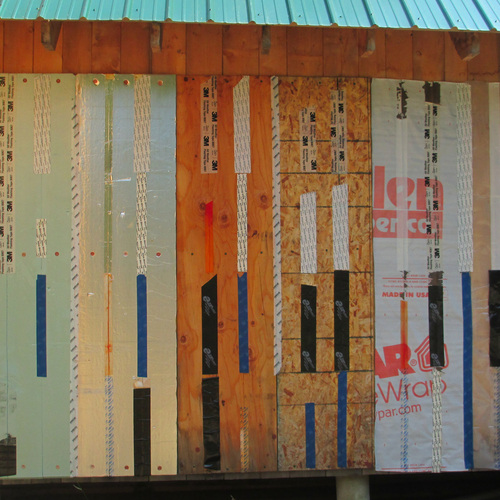 Based on my observations I would choose 8067 for everything except zip panel sheathing. Would love to see you add 8067 in the future to check my hunch.